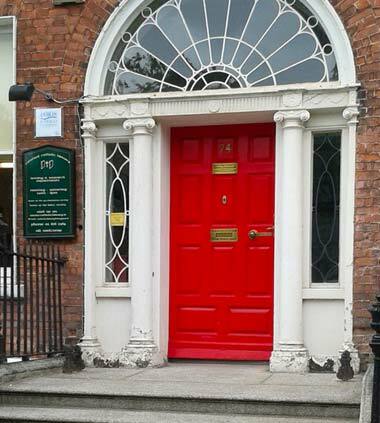 Our Georgian house overlooking Dublin’s Merrion Square holds a collection of over 60,000 books and periodicals. This collection is confessional in inspiration, and covers the Catholic tradition in philosophy, theology, history, science, art, literature and music. 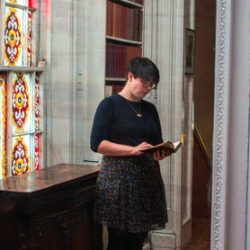 Visitors are welcome, both to enjoy the architectural features of the building and our tranquil reading rooms. Here they can explore the living DNA of Ireland’s religious culture in its national and international contexts. The Library was founded in June 1922 by the Irish Jesuit priest, Stephen Brown. Fr. Brown had an international reputation as a bibliographer and writer. In an article published in the Irish Jesuit review Studies in 1922, he first presented publicly his hopes and aspirations for the Central Catholic Library. He expressed his belief in the need for a library open to the general public where books dealing with Catholicism in all its aspects would be available. 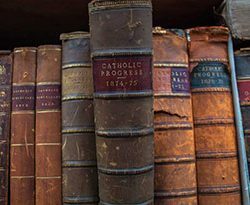 He wanted to raise public awareness of what was being published in all areas relevant to Catholics, including the social and intellectual aspects of this faith. He wanted to see the growth of an informed laity. The Library was founded as a subscription library: that is, one funded by the subscriptions of its members. With Belfast’s Linen Hall Library, it remains among the last on the island of Ireland. But many of the country’s most famous institutional libraries, including those of the Royal Irish Academy and the Royal Dublin Society, first began life as subscription libraries. Their founders were inspired by an increased desire for learning in fields as various as philosophy, theology, political life, literary culture and science. In stating that “there are few departments of human interest that would be unrepresented” in his own newly founded library, Stephen Brown showed his own appetite for the development and sharing of knowledge: in this case, knowledge founded on religious faith. 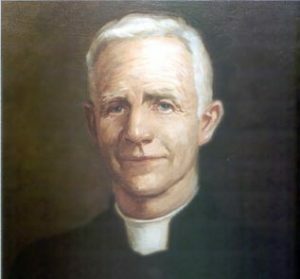 Fr Brown held the post of honorary librarian at the Central Catholic Library for over thirty years, resigning in May 1960 following injuries sustained in a traffic accident outside the British Museum in London.He died in May 1962. Among those to hold the role of honorary librarian following Fr Brown’s death were Fr Roland Burke Savage SJ and the author and literary historian Peter Costello.Today the library is administered by a board of directors, a professional librarian, and a dedicated group of volunteers.